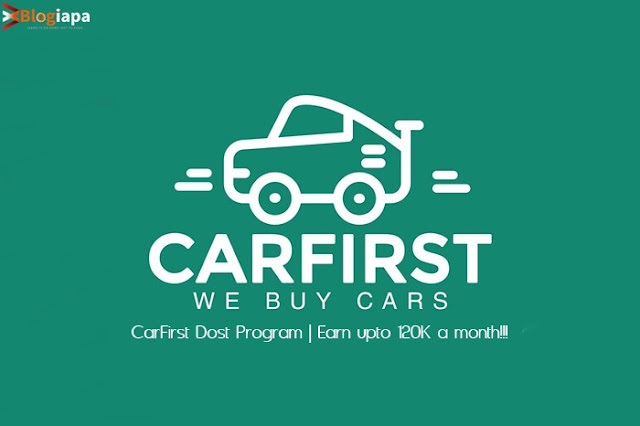 CarFirst Dost Program | Earn up to 120K a month!!! Selling Car in Pakistan become very easy. 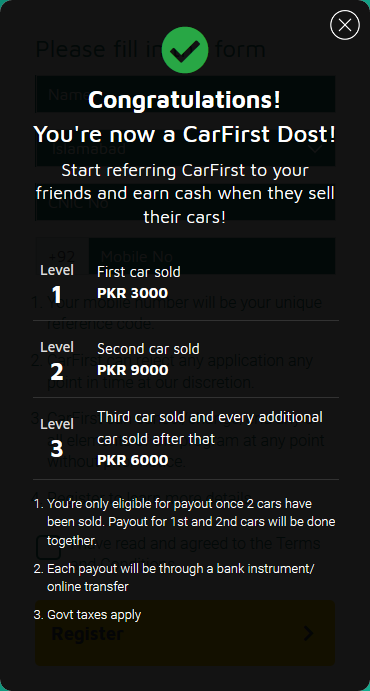 CarFirst is a 1st of its kind platform to sell your used car without any hassle in Pakistan. Salaam Beautiful Peoples! Recently I wrote an article on Oppo SuperVOOC Charging Explained. And Now I'm going to post regarding CarFirst - Dost Program. Planning to sell your car? Sell it the quick, easy and reliable manner with CarFirst! Visit this link & Get the latest updates in your mailbox. You can also connect with us on Facebook & Twitter. Selling Car in Pakistan become very easy. 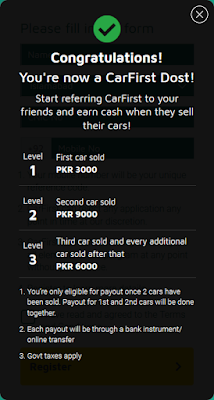 CarFirst is a 1st of its kind platform to sell your used car without any hassle in Pakistan. At CarFirst, they purchase your car quick n easy and pay you fast & best. For further details and questions. Simply log onto www.carfirst.com OR dial 0304 1111 227 and book an appointment to sell your Car Today. And it will be a great pleasure to use our Reference number: (+923150288819) while booking an appointment. Also Read: Fastest Charger in the World - Oppo SuperVOOC Charging Explained!!! CarFirst is transforming the way cars are traded in Pakistan with a network across the country and aspirations to expand geographic footprint regionally and internationally. CarFirst is a very well-funded, operational since 2016 and has raised 2 of the largest VC investment rounds from a number of the most prestigious investors from across the globe. Become a CarFirst Dost and Earn Cash! Refer your friends and family members to sell their cars to CarFirst and earn thousands in cash rewards. Whenever you refer a friend/fan or family member to sell their car to CarFirst, you put cash in your pocket! Register for our CarFirst Dost Program and start earning cash rewards. 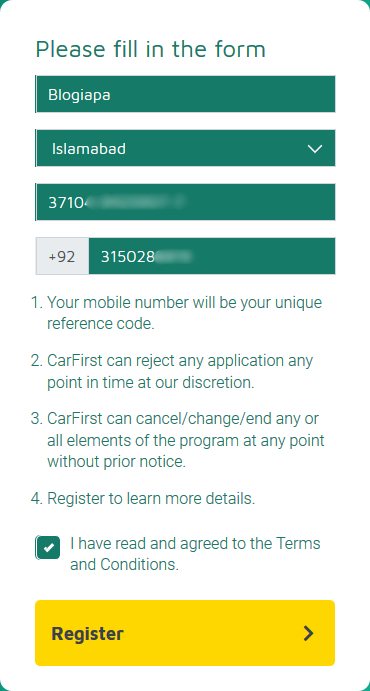 Register now to become a CarFirst Dost. 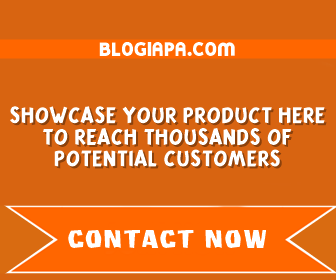 If you are reading this post then use my reference code or tell them you are referred by Blogiapa.com. Thanks! Register for the CarFirst Dost Program and start referring your friends to CarFirst. Your friend gives your registered mobile number as a reference while booking your appointment online. For every car sold earn cash rewards. The more you sell the more you earn. After Registration, you will get this information that I mention/attached below! You're now a CarFirst Dost! Start referring CarFirst to your friends/fans and earn money when they sell their cars! Obviously, we'll be talking about the website, they are offering these Levels 1, 2, and 3 on the website! Level 1: The first car sold PKR 3000. Level 2: The second car sold PKR 9000. Level 3: The third car sold and every additional car sold after that PKR 6000. "They are offering PKR 3000 in website but on the other side, when we call to their helpline and talk to CSR he offers the first car you sold they give PKR 9000 and 2nd PKR 3000, and the third car and every car you sold they pay you PKR 6000 and I think these problems are not too big to point but they must have focused on these type of faults to fix!" I am pleased to say that your employees are fuss pls train them good so they can guide us with perfect details or maybe its web developers fault so fix it as soon as possible! You are only eligible for payout once two cars have been sold. The payout for 1st and 2nd cars will be done together. Each payout will be through a bank instrument/online transfer. They purchase your used cars in an easiest & safest way in Pakistan. Now save your time & money in spending on online & offline classified ads, getting ransom calls from unknown callers & unrealistic down the market car rates. Simply visit their website for price estimation as per your car information, book an appointment for inspection at nearest CarFirst purchase center for physical car inspection, receive an instant offer from our experts & Sell your car in best price. No matter you have, Honda, Suzuki, Toyota, Mitsubishi, Daihatsu or any other car brand or any car model, They are always here to provide you a fastest & trouble-free way to sell your car in Pakistan. For further info, you can Visit their website, www.carfirst.com or call at 0304 1111 227. Share your thoughts in comment session. We hope you to share our website with your friends n fans. It will help me get more readers and make me more motivated! Happy Selling Your Used Cars..! Blogiapa - Learn To Do More! : CarFirst Dost Program | Earn up to 120K a month!! !